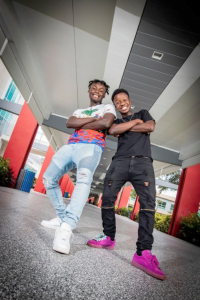 Michel Issac and Reggie Elie say if it wasn’t for an after school program called PROPEL, they would not have received a full scholarship to Florida Atlantic University. Both students are from Haiti and first-generation, low-income college students. Elie said his dream was to attend FAU. And when he got accepted, he said he knew he didn’t have enough money to go. It was his mentor at PROPEL, which stands for People Reaching Out to Provide Education and Leadership, Gregg Francis, who told him not to worry — there would be a way for him to attend his dream school. Francis told him about the Kelly/Strul Emerging Scholars Program, which provides full grant and scholarship financial aid packages, as well as comprehensive support programs to ensure students thrive at Florida Atlantic University.